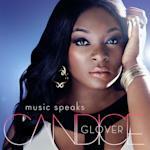 Candice Glover’s "Music Speaks" sold just 19K copies in its first week. That's the lowest first-week sales tally for the debut album by an "American Idol" winner in the show's 12-year history. The old record was set in 2010 when Lee DeWyze's "Live It Up" sold 39K copies in its first week. "Music Speaks" enters The Billboard 200 at #14. That's a bit higher than "Live It Up," which debuted and peaked at #19. "Idol's" post-DeWyze revival with Scotty McCreery and Phillip Phillips, both of whom had debut albums that started strongly and sold well over time, appears to have stalled. A technical glitch in the iTunes store may have cost Glover some sales. According to Hits Magazine, 11K pre-orders of the album were marked as fulfilled in November, even though the album hadn't been delivered. If any of those 11K customers still wanted the album three months later, they would have had to place the order again. That's not an insurmountable hurdle if you really want something, but it gives a customer an easy out if they're not so sure anymore. Also, it didn't help matters that they waited so long to release Glover's album. Glover was named the Season 12 winner on May 16. This nine-month wait between Glover's coronation and the release of her debut album is the longest in "Idol" history. It tops the eight-month lag between Kelly Clarkson's coronation as the first Idol and the release of her first album, "Thankful." Since then, the lag has been more like six months. "Idol's" TV ratings have been trending down for several years. The show has been eclipsed in terms of buzz by "The Voice," which won an Emmy last year as Outstanding Reality-Competition Program—an award that "Idol" never won in its heyday (and now probably never will). Here are the first-week sales tallies of the first post-coronation albums by each of the "Idol" winners. They're shown from the biggest first week on down: Ruben Studdard's "Soulful" (417K), Carrie Underwood's "Some Hearts" (315K), Taylor Hicks' "Taylor Hicks" (298K), Kelly Clarkson's "Thankful" (297K), David Cook's "David Cook" (280K), Fantasia's "Free Yourself" (240K), Scotty McCreery's "Clear As Day" (197K), Phillip Phillips' "World From The Side Of The Moon" (169K), Jordin Sparks' "Jordin Sparks" (119K), Kris Allen's "Kris Allen" (80K), Lee DeWyze's "Live It Up" (39K), Candice Glover's "Music Speaks" (19K). 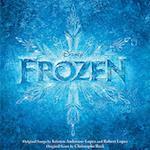 "Frozen" is #1 on Top Soundtracks for the 13th week. The movie was in the top 10 at the box-office for the 13th weekend. "Frozen" is now the fourth highest-grossing animated movie since 1982, when boxofficemojo.com starting tracking box-office data. Among animated non-sequels, it's second only to "The Lion King." Eric Church's "The Outsiders" dips from #1 to #2. It's #1 on Top Country Albums for the second week. 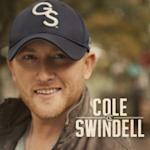 Country singer Cole Swindell's eponymous debut album is the week's top new entry at #3. The album sold 42K digital copies, which puts it at #1 on Top Digital Albums. Swindell's big hit, "Chillin' It," reached #1 on Hot Country Songs last week. Lorde's "Pure Heroine" inches up from #7 to #6. The album tops the 1 million mark in U.S. sales this week. Lorde's Grammy-winning breakthrough smash, "Royals," has sold 5,234,000 copies. Her follow-up, "Team," is up to 1,550,000. Pharrell Williams's "Happy" sold 402K copies, which puts it at #1 on Hot Digital Songs for the second week. That's the highest weekly sales tally so far this year; the highest outside of Christmas week (when sales traditionally swell) since September, when Miley Cyrus' "Wrecking Ball" blew up (477K). Will "Happy" move up to #1 on the Hot 100, or will "Dark Horse" by Katy Perry featuring Juicy J grab a fifth week on top? You'll find out later today when we post my Songs blogs. Here's a recap of this week's top 10 albums. The Top Five: The "Frozen" soundtrack logs its fifth week at #1 in its 13th week (89K). This is its 11th week in the top 10 … Eric Church's "The Outsiders" dips from #1 to #2 in its second week (74K) … Cole Swindell's "Cole Swindell" debuts at #3 (63K). It's his first top 10 album …"Now 49" dips from #3 to #4 in its third week (45K). It has been in the top five the entire time … Beyonce's "Beyonce" dips from #4 to #5 in its 11th week (35K). It has been in the top 10 the entire time. The Second Five: Lorde's "Pure Heroine" inches up from #7 to #6 in its 21st week (30K). This is its 16th week in the top 10 … Katy Perry's "PRISM" jumps from #9 to #7 in its 18th week (26K). This is its 17th week in the top 10 … Bruno Mars's "Unorthodox Jukebox" drops from #5 to #8 in its 63rd week (23K). This is its 25th week in the top 10 … Issues' "Issues" debuts at #9 (22K). It's the metalcore band's first full-length album … Toni Braxton & Babyface's "Love, Marriage & Divorce" drops from #8 to #10 in its third week (21K). It has been in the top 10 the entire time. Two albums drop out of the top 10 this week. Imagine Dragons' "Night Visions" drops from #6 to #12. Miley Cyrus's "Bangerz" drops from #10 to #15. 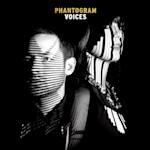 Phantogram's second album, "Voices," debuts at #11. Daryl Hall & John Oates had an album with the same title in 1980. It reached #17 … Lake Street Drive's third studio album, "Bad Self Portraits," debuts at #18 … Bayside's "Cult" debuts at #24. It's the punk band's sixth and highest-charting album. Bastille's "Bad Blood" drops from #15 to #25 in its 25th week. The album has climbed as high as #11. The album returns to #1 on the U.K.'s Official Album Chart. The album first topped the U.K. chart in March 2013. 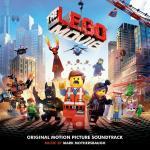 "The Lego Movie: Original Motion Picture Soundtrack" jumps from #45 to #37 in its third week. The movie was #1 at the box-office for the third straight weekend. Bruno Mars's "Doo-Wops & Hooligans" drops from #28 to #41 in its 174th week. The album logs its 14th week at #1 on Top Catalog Albums. Metallica's "Through The Never" is #1 on Top Music Videos for the fourth straight week. 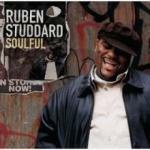 It sold 5K copies this week, bringing its five-week total to 51K. 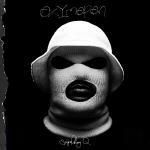 Coming Attractions: ScHoolBoy Q's "Oxymoron" is expected to be next week's top new entry. Also due: Kid Cudi Presents Satellite Flight's "The Journey To Mother Moon," Beck's "Morning Phase," Dierks Bentley's "Riser," Romeo Santos' "Formula, Vol. 2" The Fray's "Helios," St. Vincent's "St. Vincent" and Celtic Woman's "Emerald: Musical Gems."